AUSTIN, TEXAS—March 1, 2019. Senior Resource Group (SRG), an innovator in the retirement industry with 32 upscale senior living communities in seven states nationwide, today announced the development is scheduled to open its doors mid-2019. 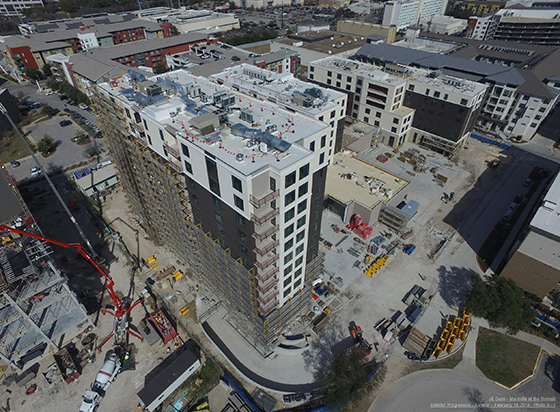 The community located at 11001 Austin Lane is wrapping up construction with the North Tower slated for completion in March; the South Tower slated for completion in April; the Central Tower slated for completion in May; and exterior site work to begin in March. Located in the heart of The Domain’s residential area, Maravilla at The Domain will be an elegant, state-of-the-art, continuum-of-care senior living campus for residents age 62 and older. Capitalizing on The Domain’s live-work-play environment, the 370,000 square-foot development will offer 230 residences – a mix of 142 independent living, 54 assisted living and 34 memory care residences, and associated services and amenities, including access to an on-site rehabilitation center. The multi-level community will be comprised of an 11-story South Tower, six- and seven-story Central and North Towers, subterranean parking, courtyards and a swimming pool. The South and Central Towers will house Maravilla’s independent living residences. The North Tower will serve its Assisted Living and Enliven Memory Care residents. At Maravilla at The Domain, the focus will be on lifestyle. Like SRG’s 31 other senior living communities, Maravilla will boast hospitality-focused services, amenities and innovative programming, including 12-hour restaurant-style dining, theater, library, bistro, wellness center, and a host of other special indoor and outdoor spaces designed to balance and complement an active lifestyle. More than 200 employees will be dedicated to offering residents the finest quality service and care. The community will attract individuals and couples seeking opportunities for vibrancy, socialization and interaction in an upscale, contemporary environment. Maravilla residences will be offered on a monthly rental basis, with a vast array of services and programs included in the fee. To learn more about Maravilla at The Domain, visit www.MaravillaAustin.com or the Maravilla at The Domain Information Center located at 3220 Feathergrass Court, in The Domain between Dillard’s and iPic Theaters. The information center is open Tuesday through Saturday, 9:00 a.m. – 5:00 p.m., or by appointment. Interested parties can reach the sales counselor, Raquel Hebben, by calling (512) 598-4100 or via email at Raquel.hebben@srg-llc.com. 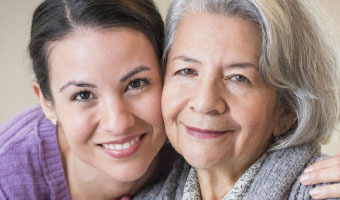 Headquartered in San Diego, California, Senior Resource Group, LLC (SRG) owns, develops and operates quality independent living, assisted living and dementia care communities across the United States. Its larger campus communities offer residents a full continuum of care and services allowing them to age in place. Since 1988, SRG has championed the development and management of thoughtfully designed communities providing older adults with service-enriched, supportive living environments. All of SRG’s eligible communities are accredited by the Commission on Accreditation of Rehabilitation Facilities (CARF), and maintain or exceed quality standards in their programs and services. Serving more than 5,000 retirees throughout the United States, SRG has been an award-winning provider of senior living communities for more than 30 years. Its vibrant retirement communities have earned an outstanding reputation for providing residents with a unique blend of dynamic programming, exceptional dining and advanced wellness programs. SRG presently owns and operates 31 senior-living communities in Arizona, California, Florida, Georgia, Oregon and Washington. For more information, visit http://www.srgseniorliving.com.